Since 2005, Raoul Berger-Mark DeWolfe Howe Legal History Fellows have gone on to amazing careers in the legal academy. Among the alumni and alumnae of the program are tenured professors at the top law schools in the United States. The following table provides detailed information about the current work of former fellows. William P. Sullivan is the Raoul Berger-Mark DeWolfe Howe Legal History Fellow for 2018-2019. 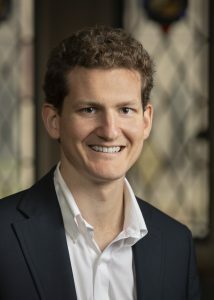 A graduate of Princeton and Yale Law School, he is a Ph.D. candidate in the departments of classics and history at the University of Chicago, where his dissertation is entitled, “Relevance in the Civil Law Tradition: The Emergence of the Roman-Canon Law of Positions.” He was a Legal History Fellow at Yale Law School in 2016-2017 and a law clerk for Judge José A. Cabranes of the United States Court of Appeals for the Second Circuit in 2017-2018.